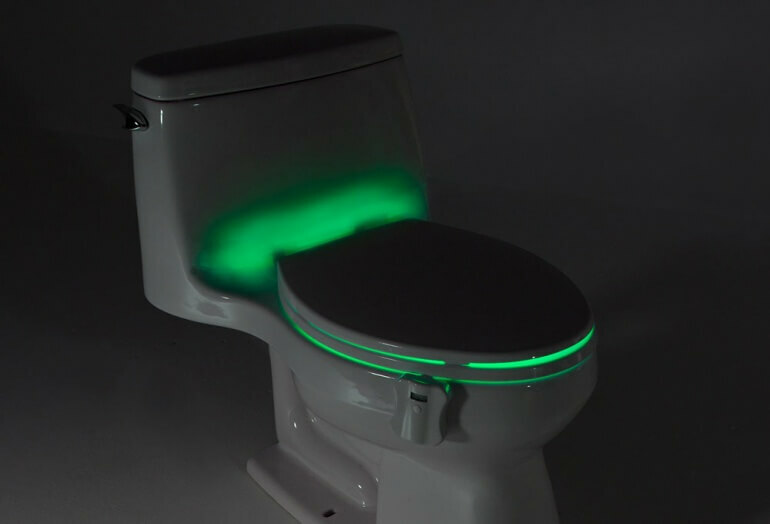 The Glowbowl sits on the edge of your toilet and illuminates the bowl using a motion sensor. 7 colors of LED light available. 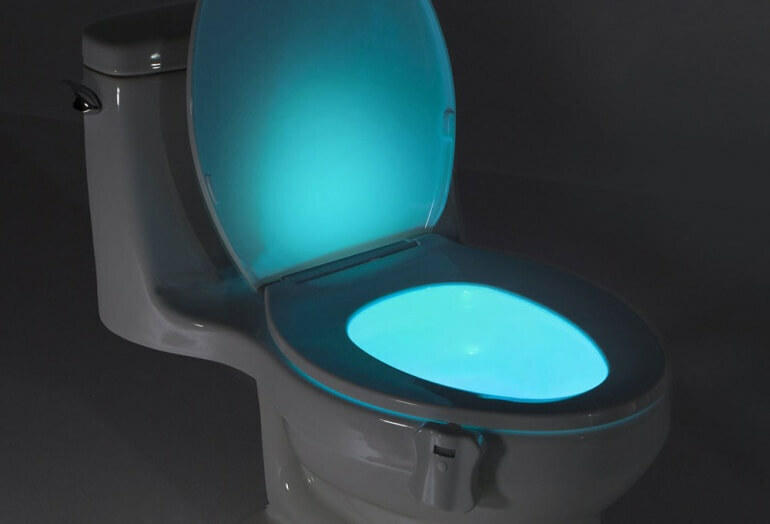 The GlowBowl illuminates the bowl of your toilet using a motion activated LED nightlight. The unit sits on the outside of your toilet bowl and a flexible arm wraps under the seat and sits within the bowl. When the unit detects motion, the LED illuminates the entire toilet bowl. The motion sensor only activates at night so you don't waste battery while the lights are on. There are 7 color options and you can set the brightness between 5 different levels depending on your preference. You can choose to display a solid, consistent color or set the GlowBowl to carousel mode which rotates between the 7 colors on a 4 second cycle. The device is powered by 3 triple A batteries. The entire unit is water resistant and easy to clean. Compatibility: Fits all toilets with flexible arm that shapes and stays in place.